I got a report from a fellow unilorite telling me " Bro, There's a scammer I want you to expose out"
The guy hit my DM intending to cast the folk level. According to the reporter, he said the man (Scammer) is a member of WhatsApp group he's occupying. He pretend to be a data seller and he's outer of data so decided to DM him. 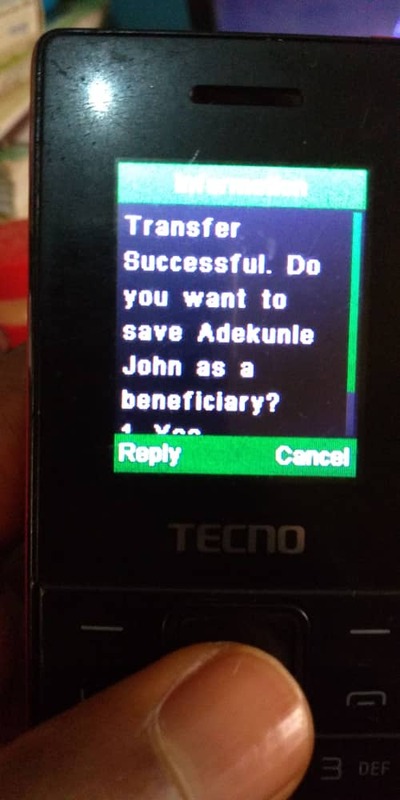 At first, the guy too has to be blame because the man (Mr John Adekunle) told him he'll sell 15GB data at the rate of 5h. But just because Nigerian too like Awoof, Nah him make the guy fall victim. They both bargain payment b4 the transaction, after the payment the man blocked him on WhatsApp. The guy started calling his line he didn't pick up, instead it was a guy that picked it. In a short sha, the collected another 1k from the victim. That's the man pissur above, you all have to be careful because the way people are falling scammed dis days no be smalls oo. This is the second transfer .